If you have ever worried that we have solved all the mysteries of nature, fear not. 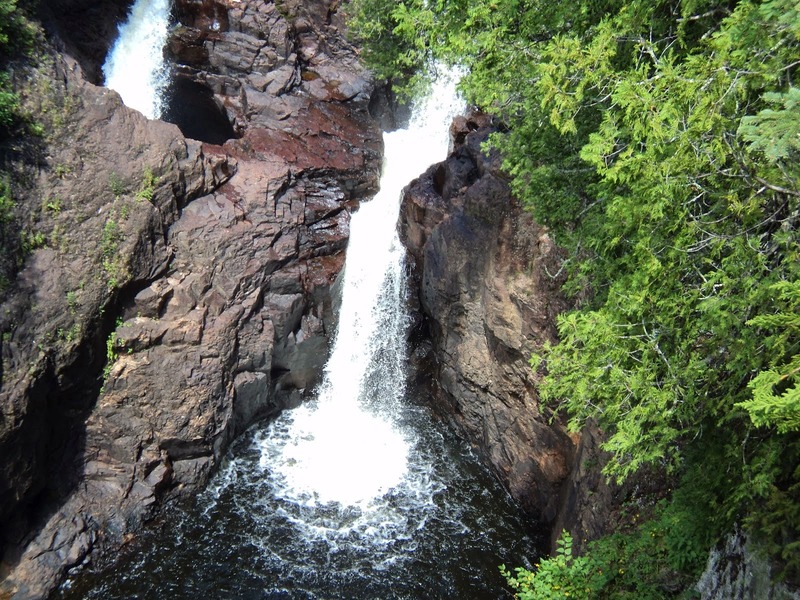 Minnesota’s Devil’s Kettle Falls has been perplexing hikers and geologists for generations. 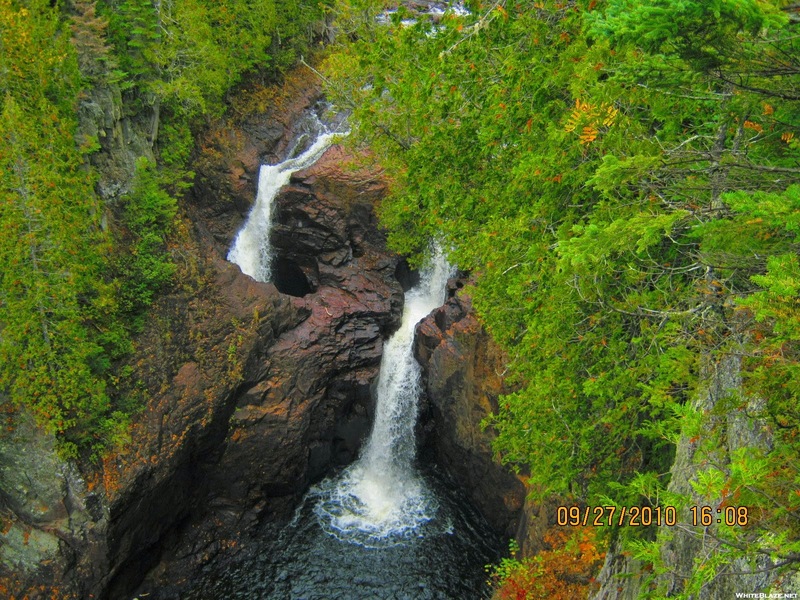 The Devil's Kettle is a mystifying geological wonder situated inside Judge C. R. Magney State Park in Minnesota, in USA, just off the North Shore of Lake Superior. 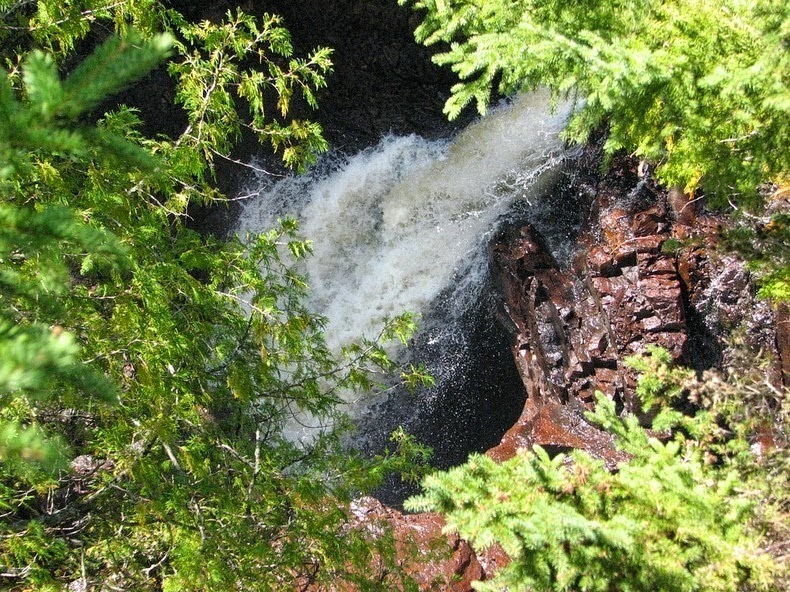 The Brule River makes its way through the park; it drops 800 feet in elevation and makes plentiful waterfalls in the process. 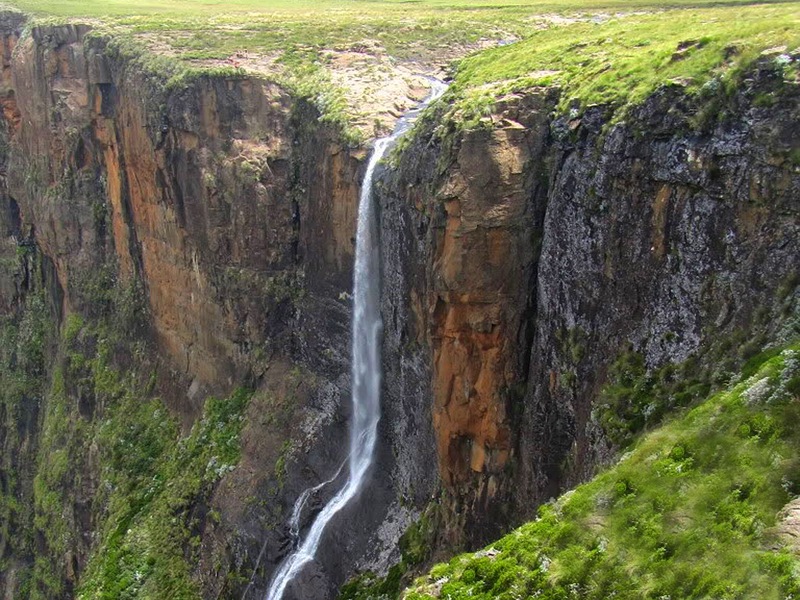 One of these waterfalls is quite distinct. 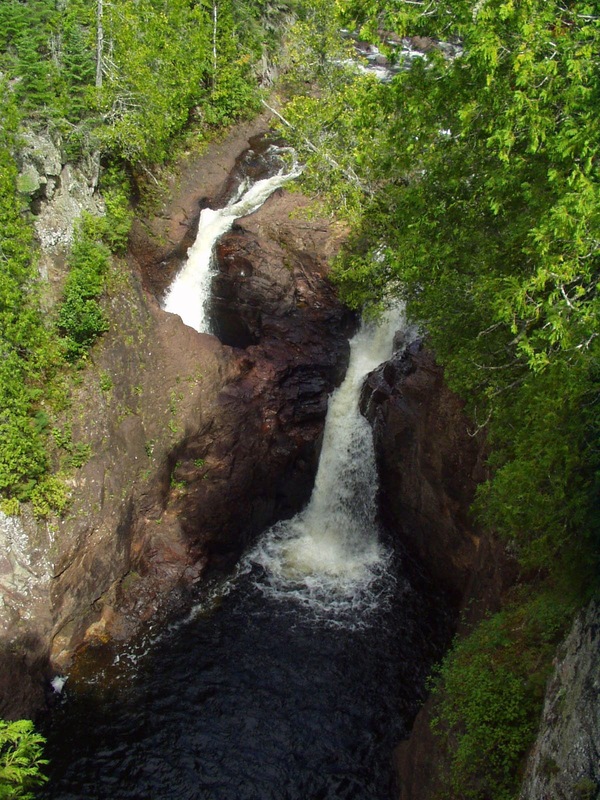 Approximately 2.4 km before the river empties into Lake Superior; it gets split in two by a rocky outcrop. The eastern part drops 50 feet below and continues towards Lake Superior. 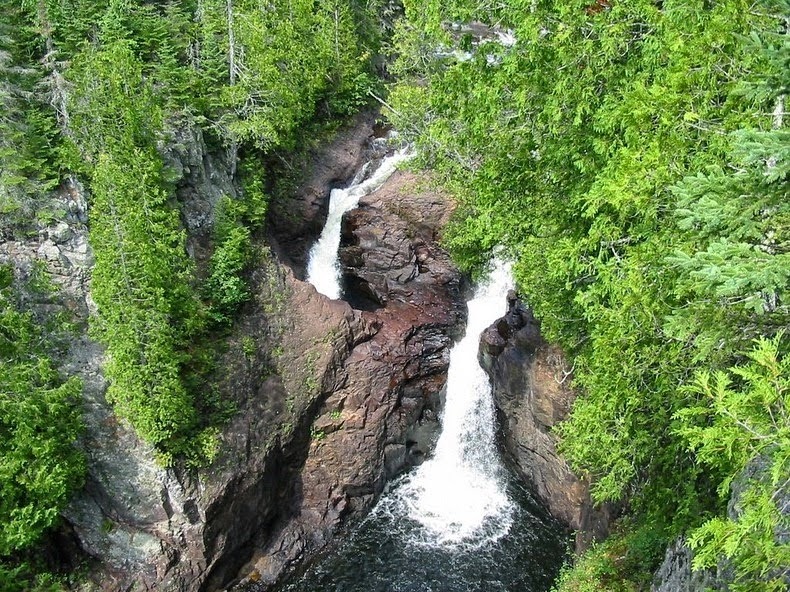 The western part falls 10 feet into a massive pothole, which is called the “Devil's Kettle” and disappears. 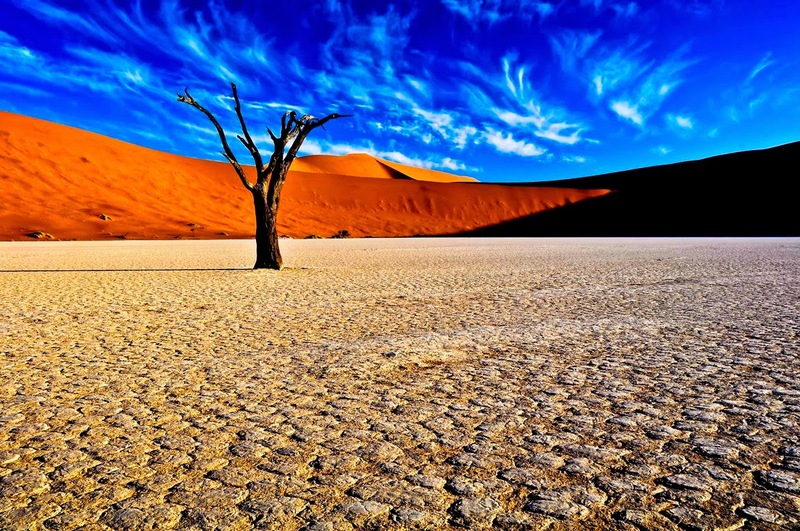 No one knows where the water goes. It is thought there must be an exit point somewhere underneath Lake Superior, but it has never been located. 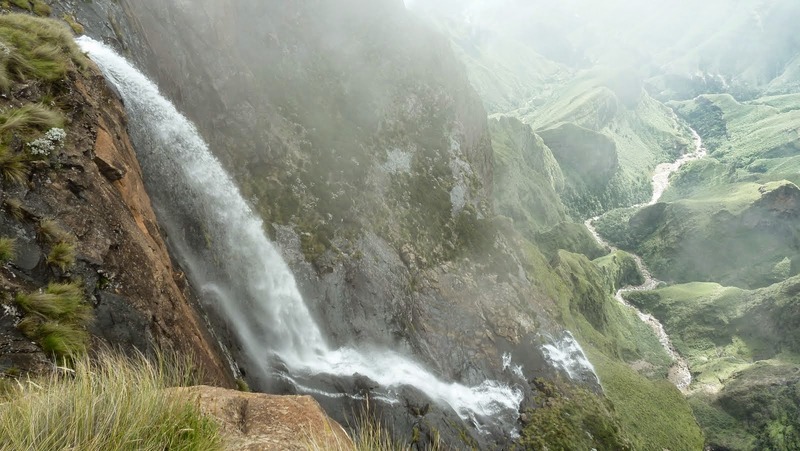 From the last several years, investigators have dropped brightly colored dyes, ping pong balls, and many other things into the Devil's Kettle. Surprisingly none of them have ever been found. 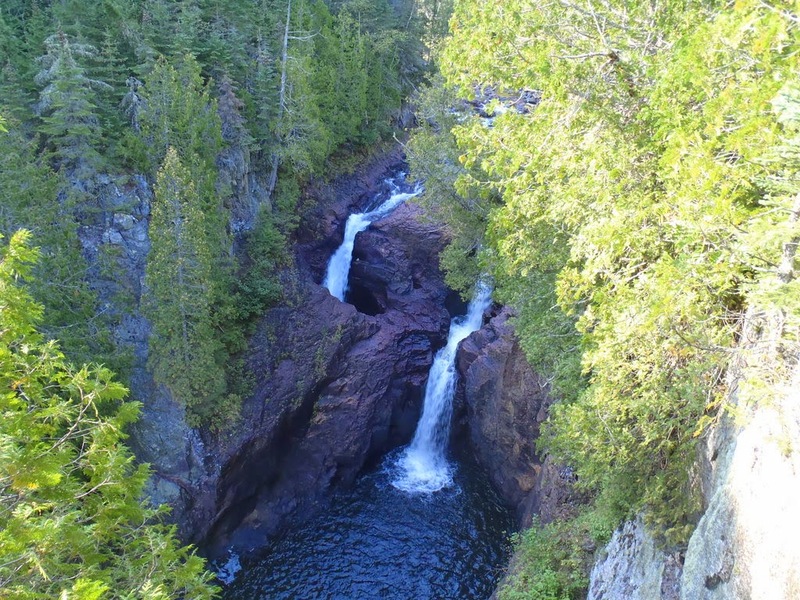 One philosophy is that the river flows along a subversive fault and comes out somewhere under Lake Superior. This is dubious, because for this to happen, the fault would have to be exactly oriented towards the lake, and would have to be big enough to let the flow of half the river. 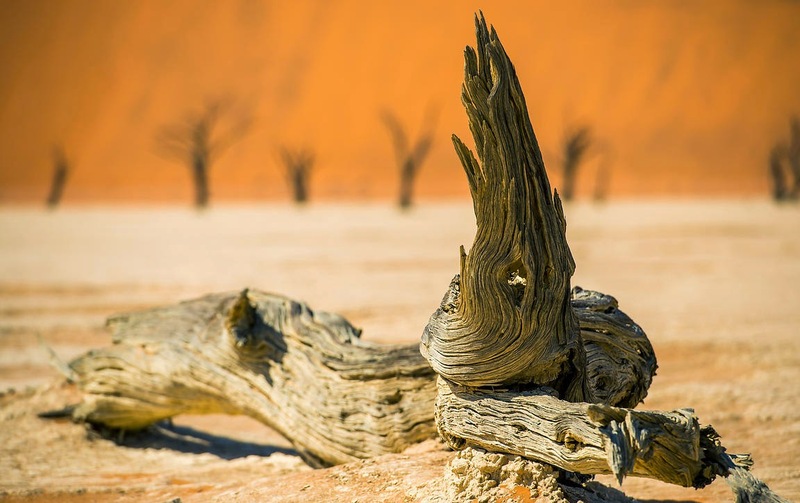 Even if such a fault is real, it would have probably been clogged over the years as rocks, sand, logs and other materials fell into the kettle. Besides, there is no sign of such a fault in the area. 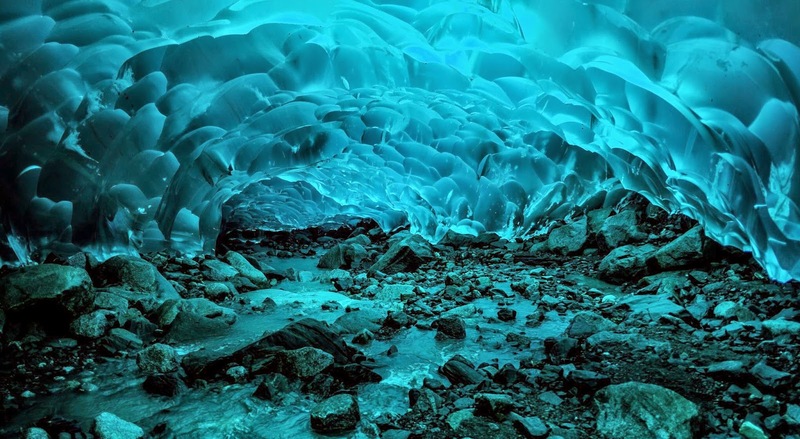 One more theory is found when millions of years ago a lava tube formed when the rocks first solidified. 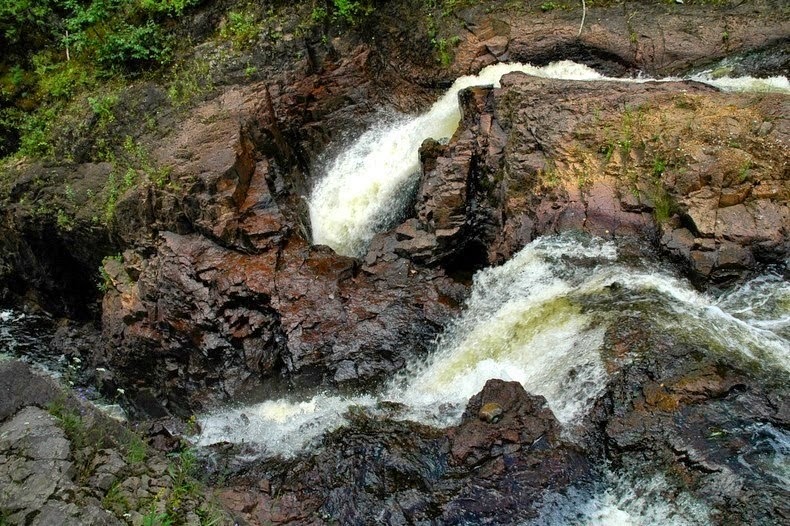 The issue with this theory is that the rock at Devil’s Kettle waterfalls is rhyolite, and lava tubes never form in rhyolite. Lava tubes form in basalt flowing down the slopes of volcanoes, and the adjacent basalt layer to Devil’s Kettle is situated much too far underground to be any kind of factor in the mystery. 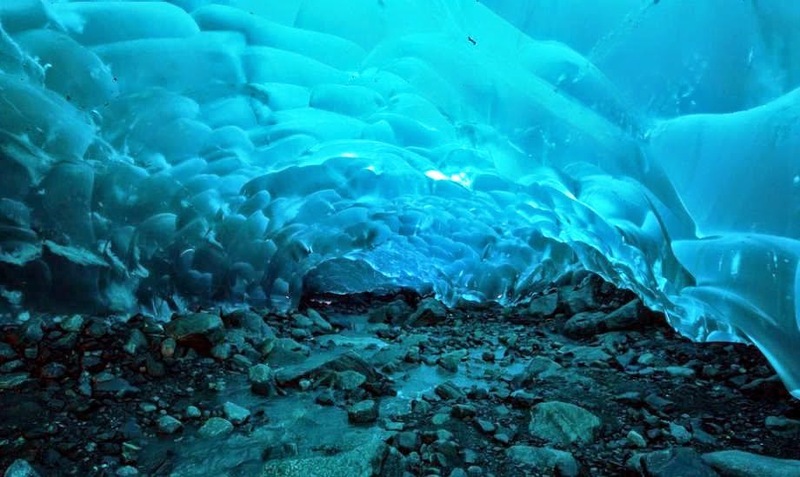 The existence of a big underground cave is also ruled out because underground caves form in limestone rock, and there is no limestone in the area. The mystery is compounded by the fact no floating debris suddenly appearing at one spot offshore in Lake Superior has ever been reported. 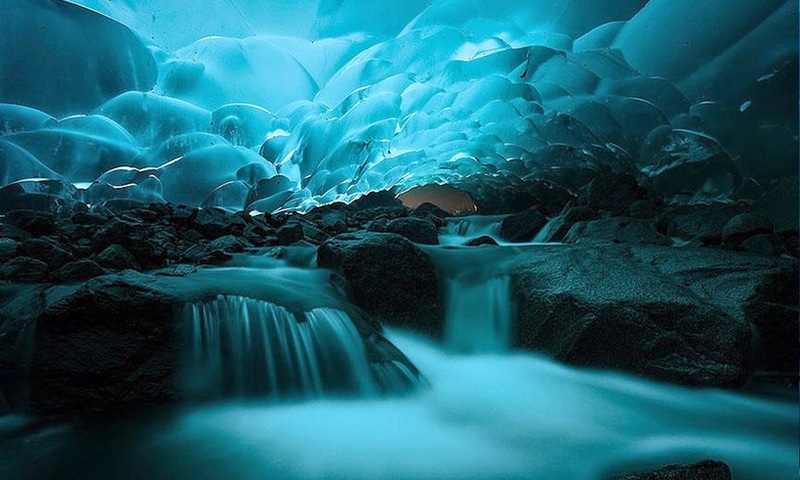 Mendenhall ice cave is one of the amazing natural phenomenon’s that can be found in Alaska, United States. 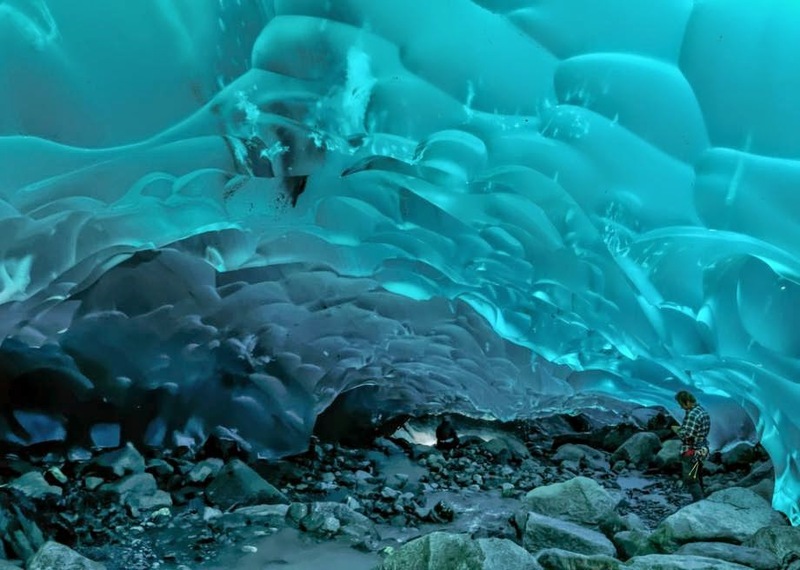 Mendenhall Glacier, a twelve mile-long mass of ice in Juneau, Alaska, is a widespread tourist attraction. 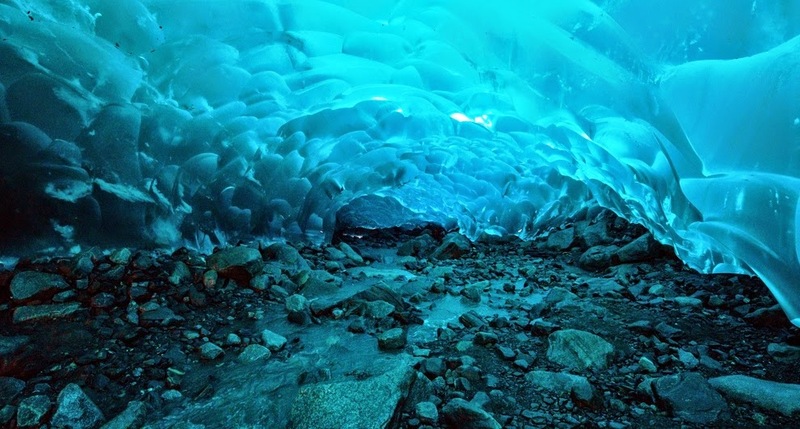 Few visitors, however, see the glacier from its most spectacular vantage point: inside it. 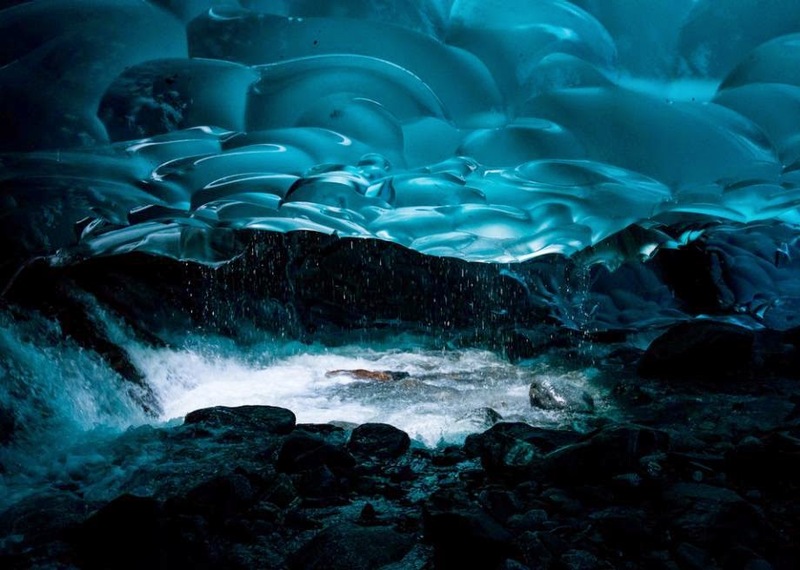 The glacier and surrounding landscape is protected as the 5,815-acre Mendenhall Glacier Recreation Area, a federally-designated unit of the Tongass National Forest. 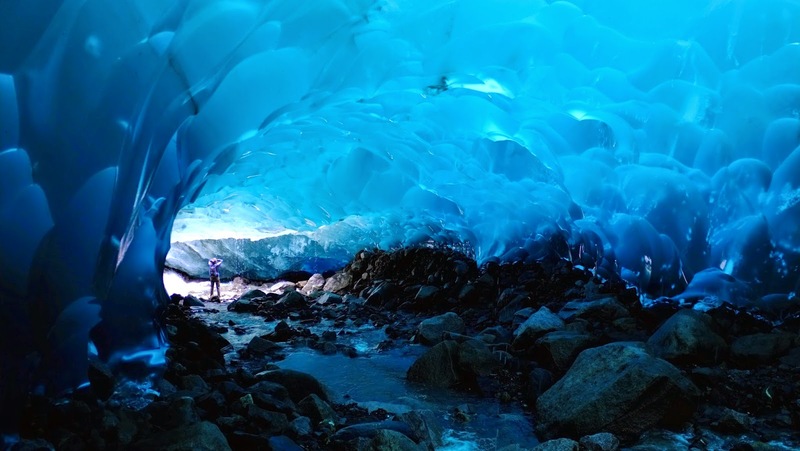 Well, rising of global temperatures have main caused the glacier to start melting and it has receded by approximately two miles since 1958. 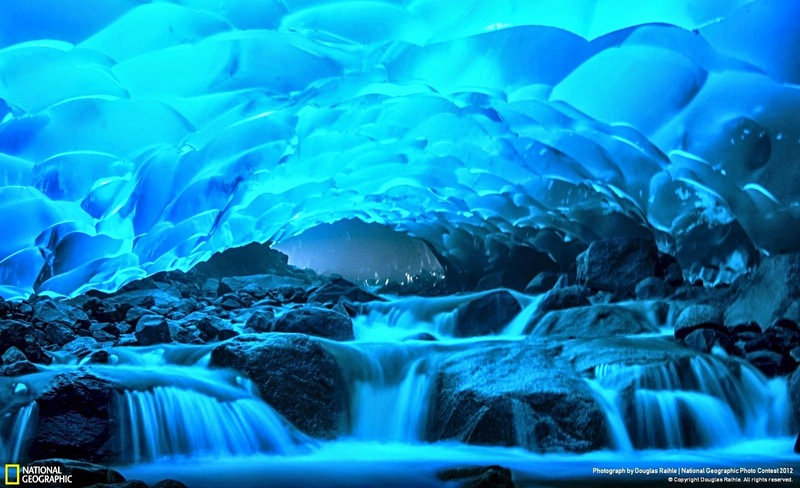 Expert agrees that earth is warming due to human activities, and climate change is causing glaciers to melt quickly than they’d naturally. 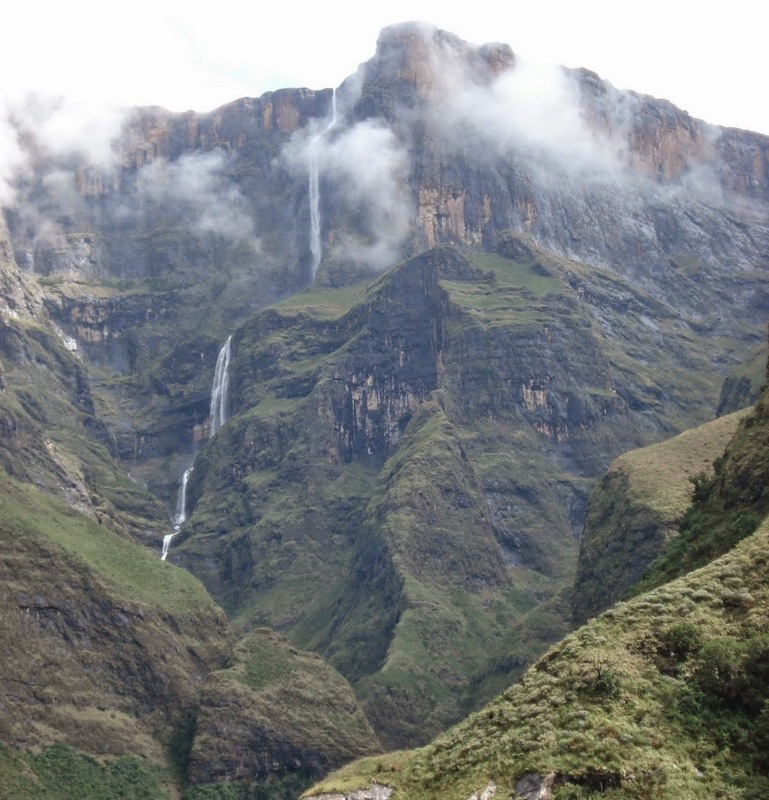 Tugela Falls is World’s 2nd highest Waterfall, but some debate about perhaps the tallest waterfall in the world as compared to Angel Falls. 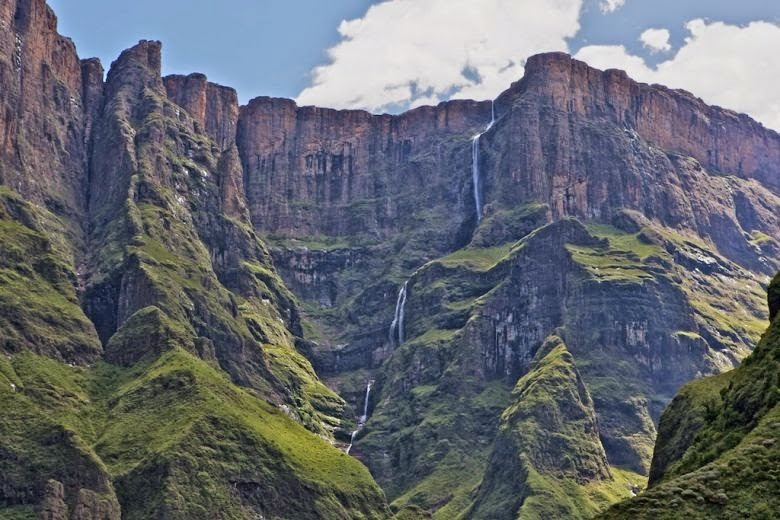 There’s a persuasive argument that the Tugela Falls is the tallest waterfall in the world, rather than the more commonly known Angel Falls. 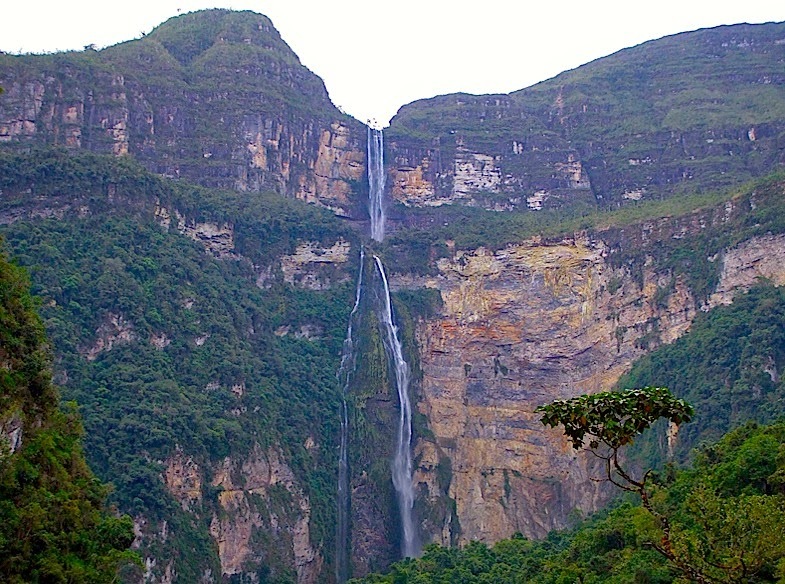 Angel Falls, however, is almost universally regarded as having the tallest single drop of any waterfall in the world. 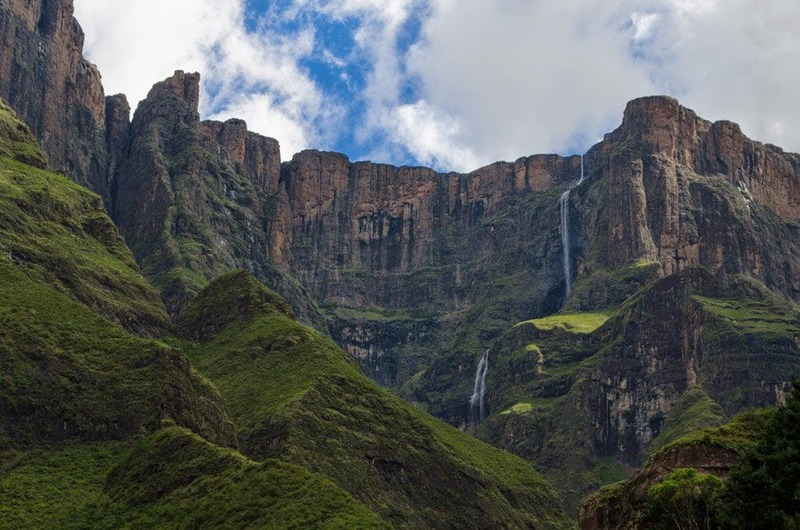 Tugela Falls, even though likely the tallest waterfall on Earth, is multi-tiered. 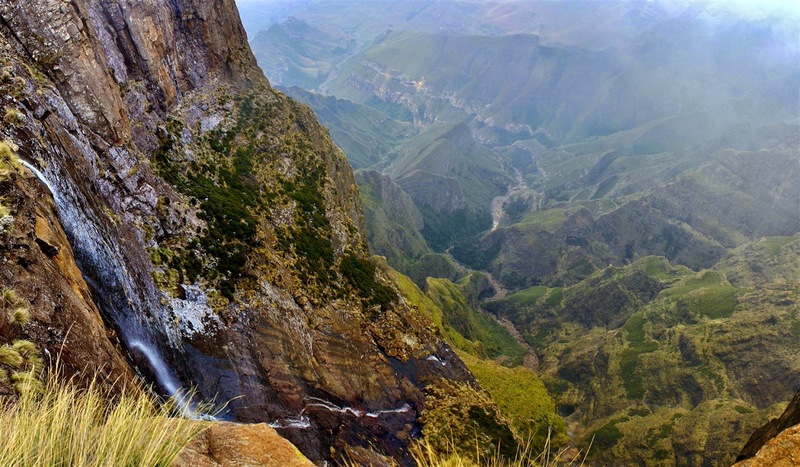 Tugela Falls is located in the Drakensberg in the Royal Natal National Park in KwaZulu-Natal Province South Africa. 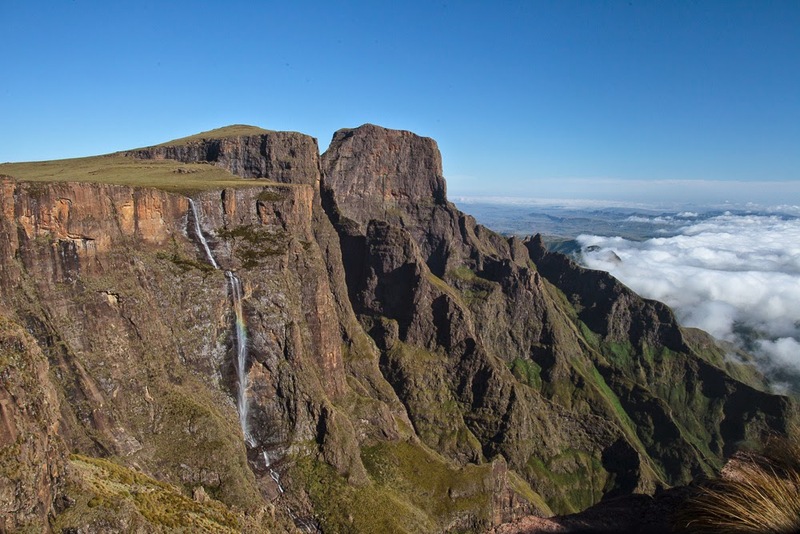 Its total drop in five free-leaping falls is 3,110 ft and one of the most iconic sights in the Drakensberg. 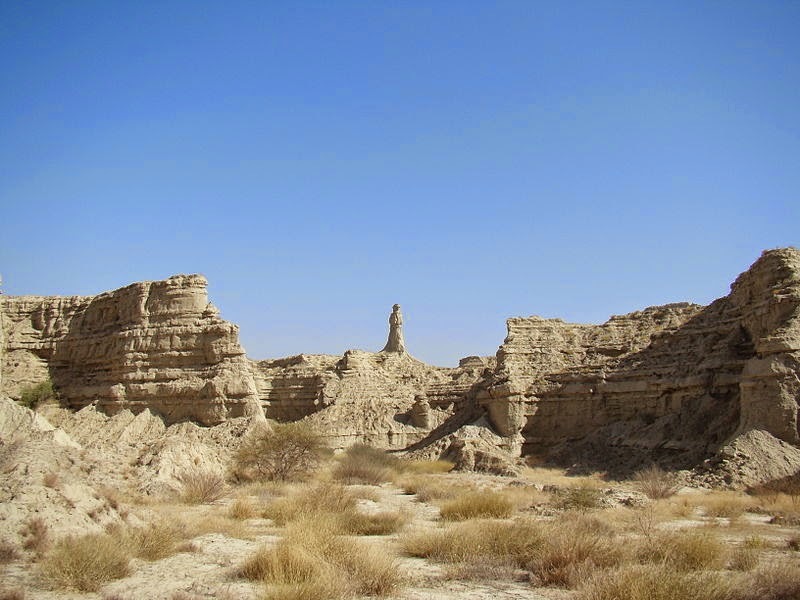 Pakistan has always been hailed as a heaven for adventurous seekers, because starting from beautiful valleys, world’s highest peaks, stunning deserts and beaches of Balochistan. 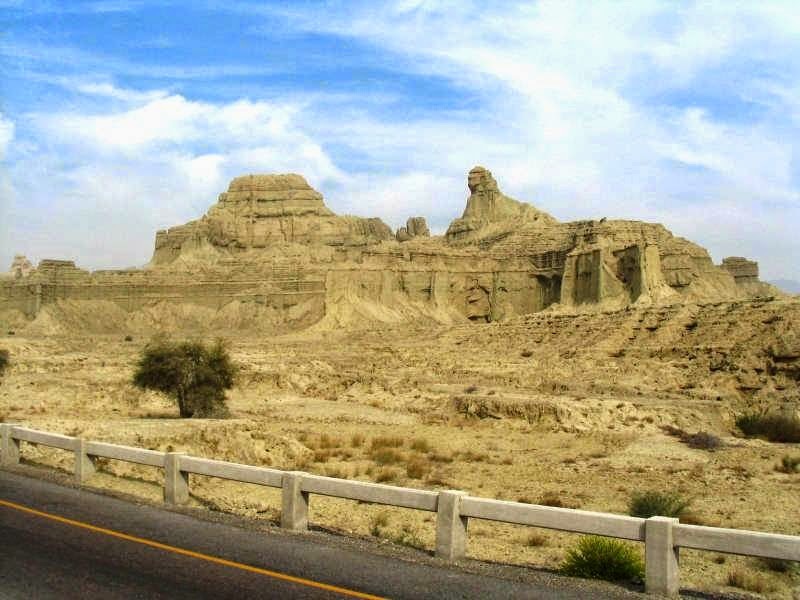 Therefore; most unique combination of natural beauty in the world, gorgeous scenery and breathtaking views that exist all over in Pakistan. 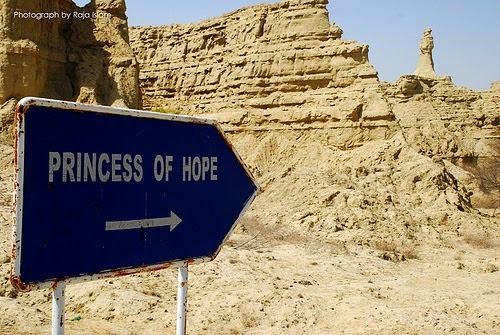 The princess of Hope is just like an essence of inspiration in the Makran Costal Highway. 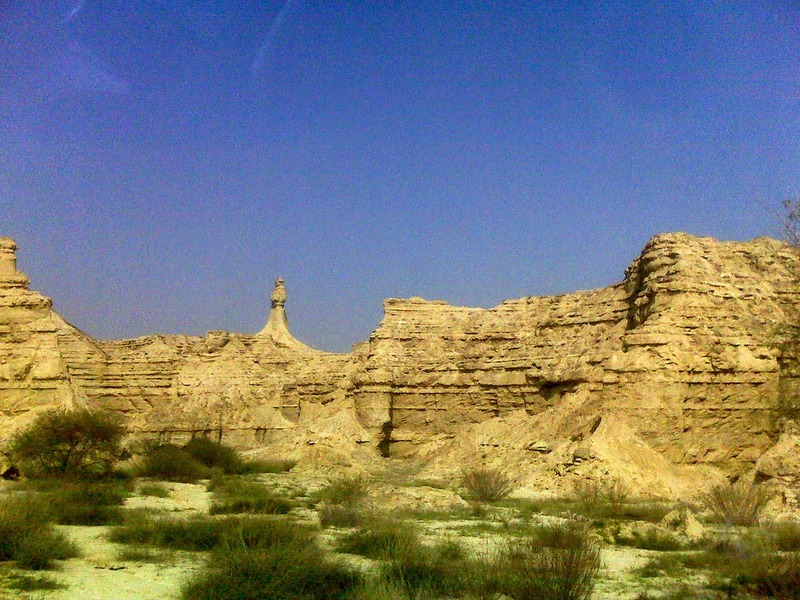 The Princess of Hope is actually a statue, which is well founded in Hingol National Park lies on the Makran coast in Balochistan Pakistan and it is around 190 kilometers from Karachi. 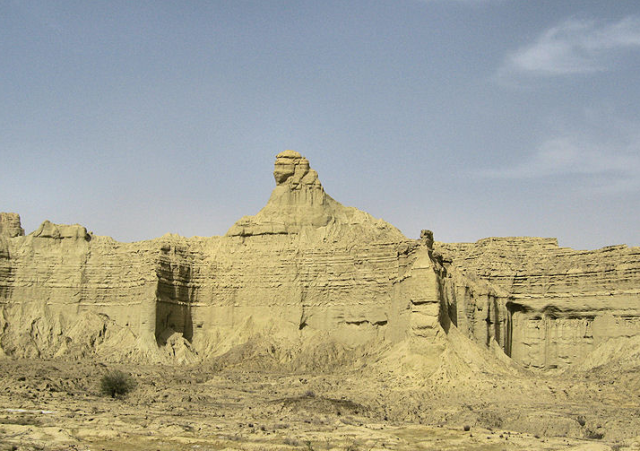 Hollywood actress Angelina Jolie, names this statue during her visit to Pakistan. 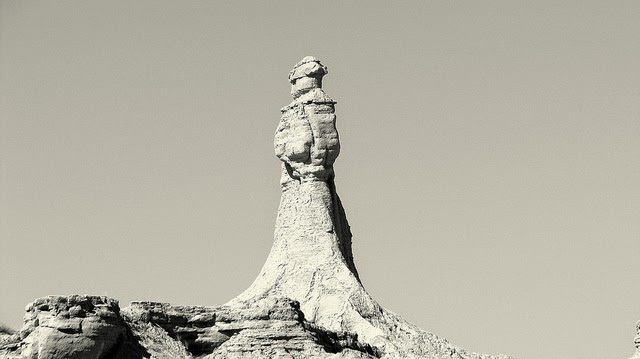 The statue namelessly before that and no one exactly know about the statue stood there, but there in the wilderness along the coast of the Arabian Sea, wearing a royal robe and a hood. The fast wind whistled around her, teased her but she could not stop the winds as the fast blowing winds swept past her and blew dust around her. 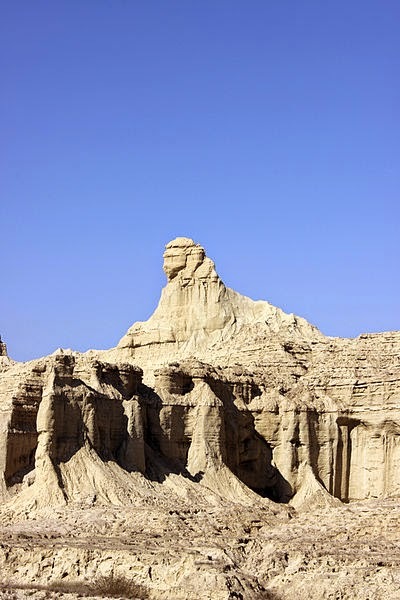 It is a lonely place, and her companion in the area is huge Sphinx of Giza, Egypt like feature who snared her loneliness. The massive man-made Sphinx in Giza Egypt is viewed by heavy traffic of tourist across the globe with awe and praise for those made it. 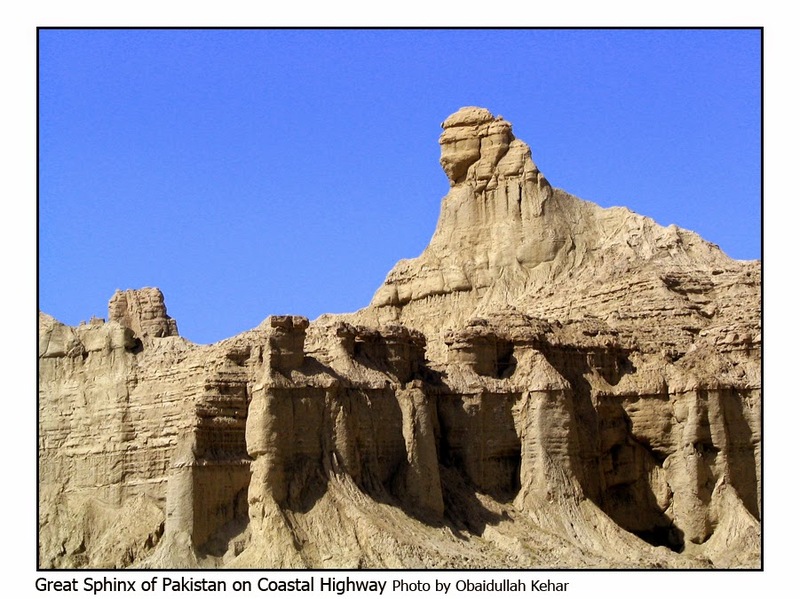 But there is one natural feature in the remote area in the Makran coastal region of the Balochistan. 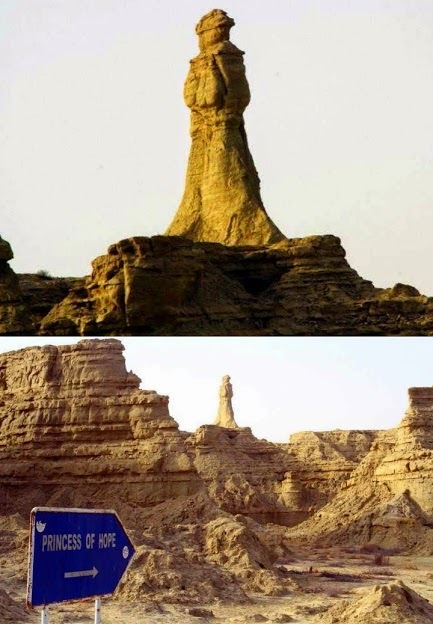 Some experts says, that statue is more than 750 years old. 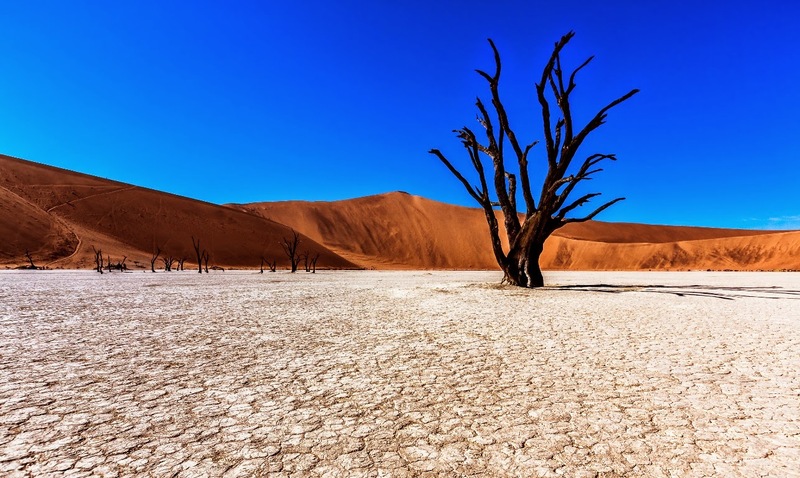 Deadvlei is a white clay pan located nearby the more famed salt pan of Sossusvlei, inside the Namib-Naukluft Park in Namibia. 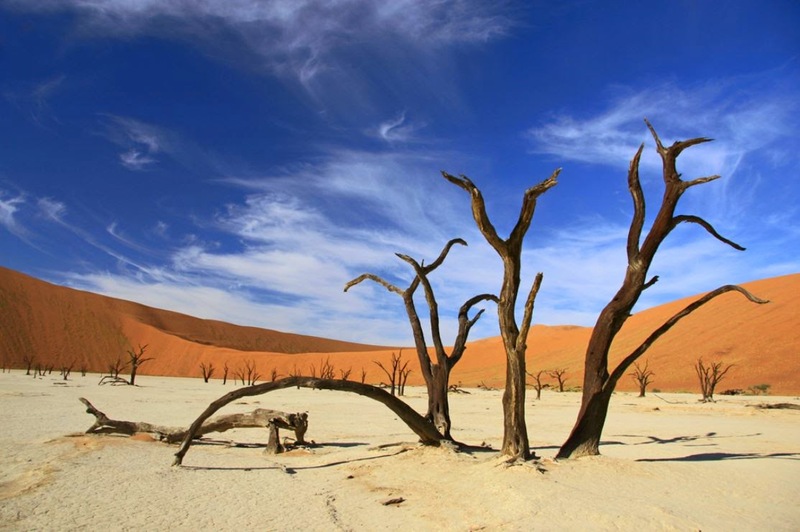 This is also written DeadVlei or Dead Vlei, which means "dead marsh". 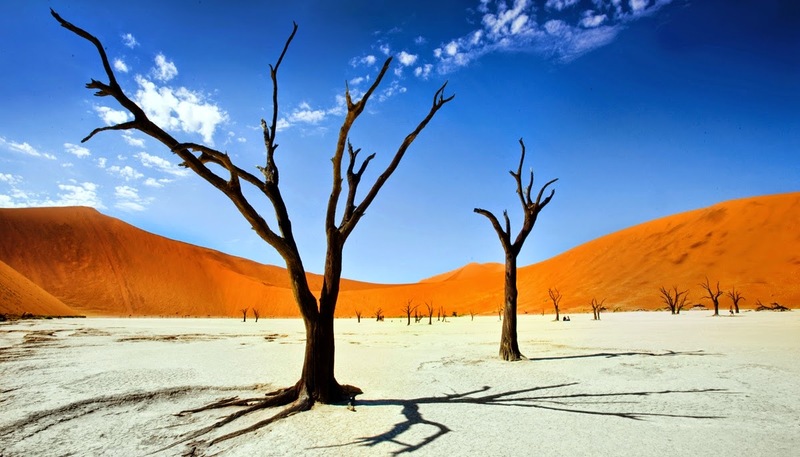 In English this is called dead and Afrikaans vlei, a lake or marsh in a valley between the dunes. 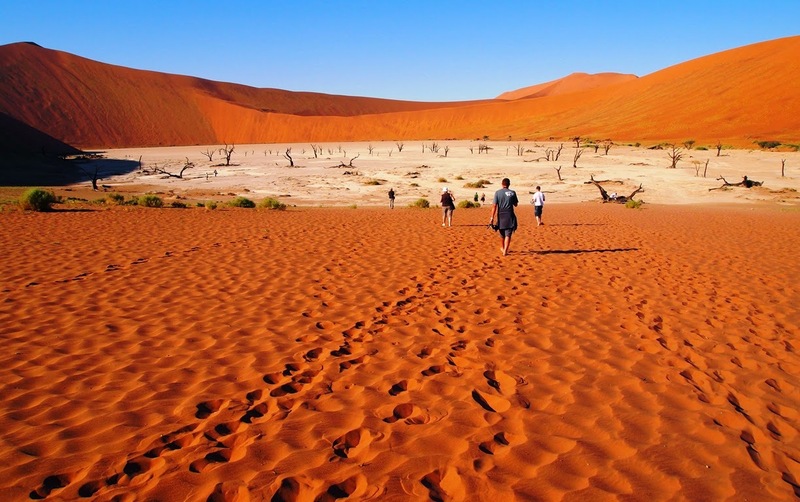 The pan also is referred to as "Dooie Vlei" which is the completely Afrikaans name. 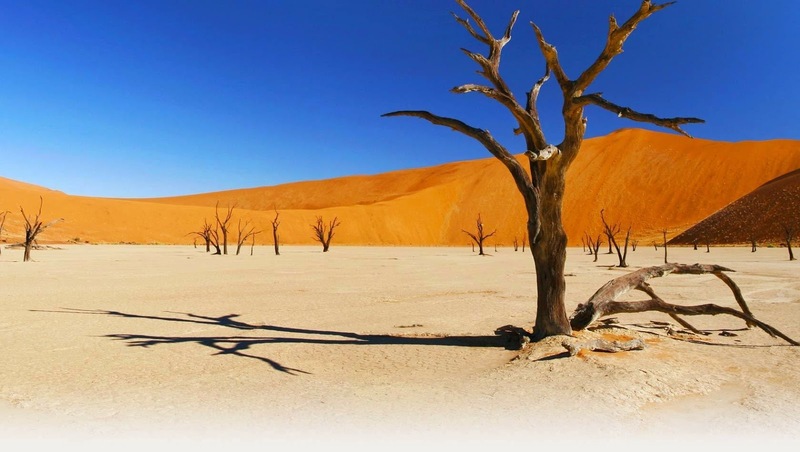 When you’d be search on Google there’re numbers of references to the site, its name often being translated speciously in terms such as "dead valley"; a vlei is not a valley which in Afrikaans is "vallei". 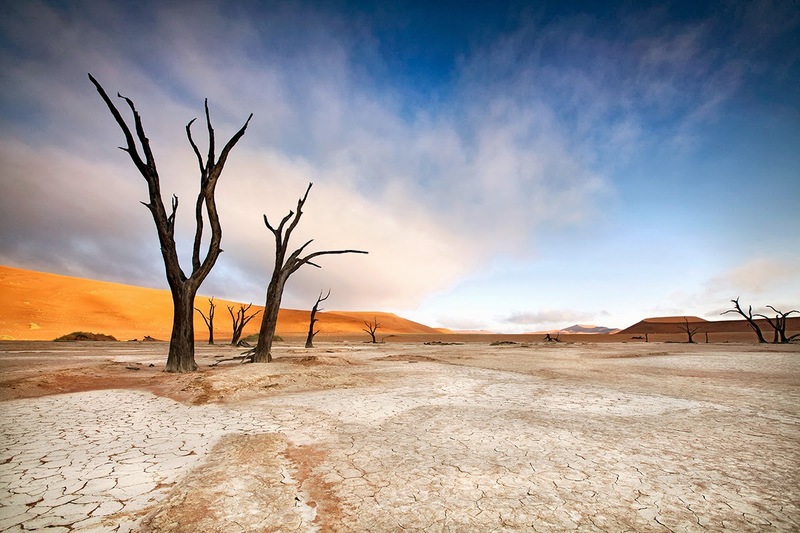 Nor is the site a valley; the pan is a desiccated vlei. 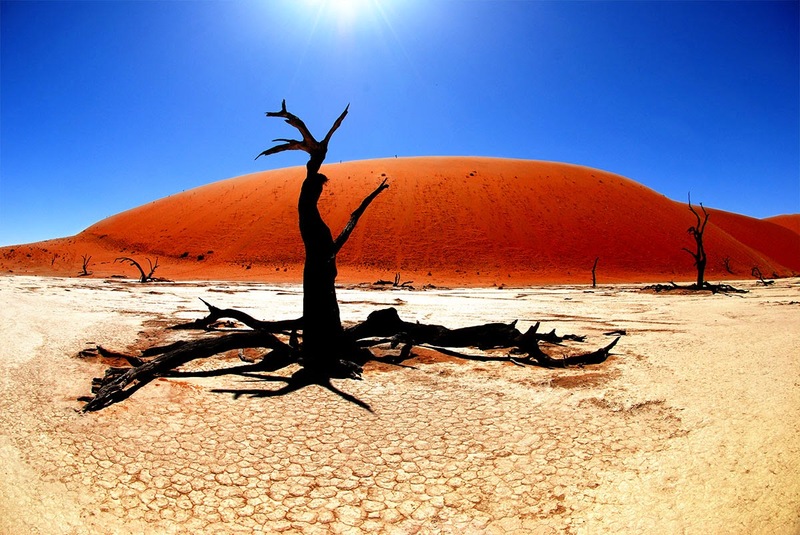 Well; Dead Vlei has been claimed to be surrounded by the highest sand dunes in the world, the highest reaching 300-400 meters often called "Big Daddy" or "Crazy Dune"), which rest on a sandstone terrace. 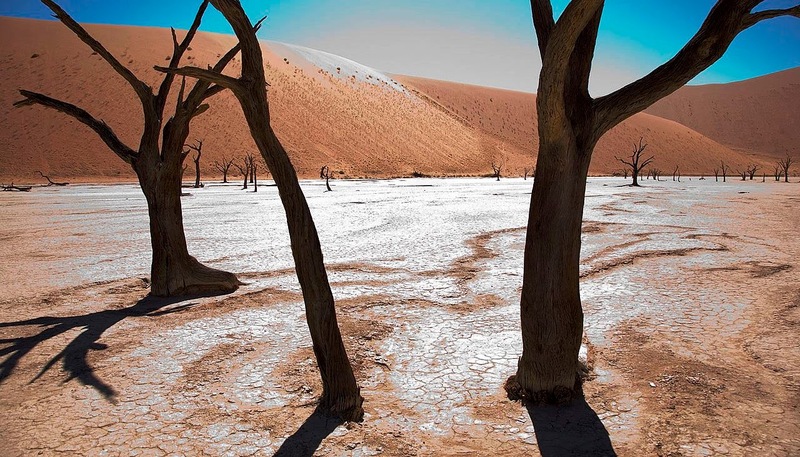 The clay pan was shaped after rainfall, when the Tsauchab river flooded, generating short-term shallow pools where the profusion of water allowed camel thorn trees to grow. 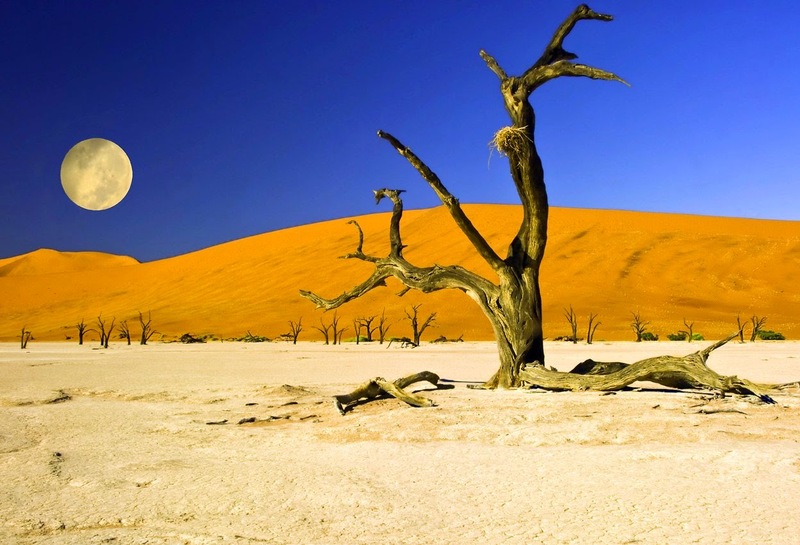 Hence when the climate changed, drought hit the area, and sand dunes encroached on the pan, which blocked the river from the area. 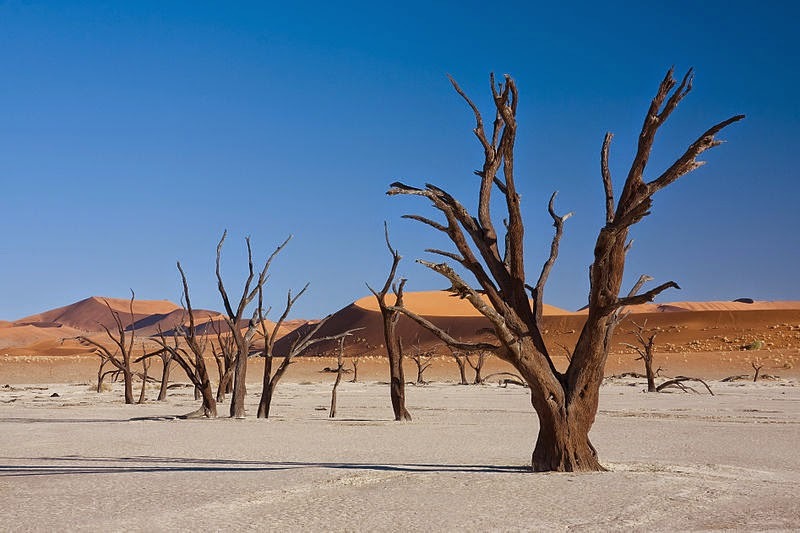 Then the trees died, as there no longer was sufficient water to survive. 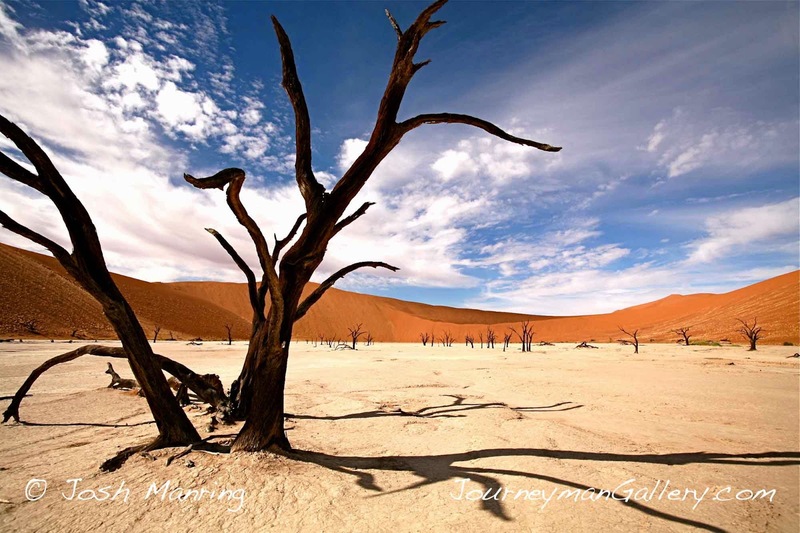 There’re few species of plants remaining, such as “Salsola” and clumps of “Nara”, adapted to surviving off the morning mist and very rare rainfall. 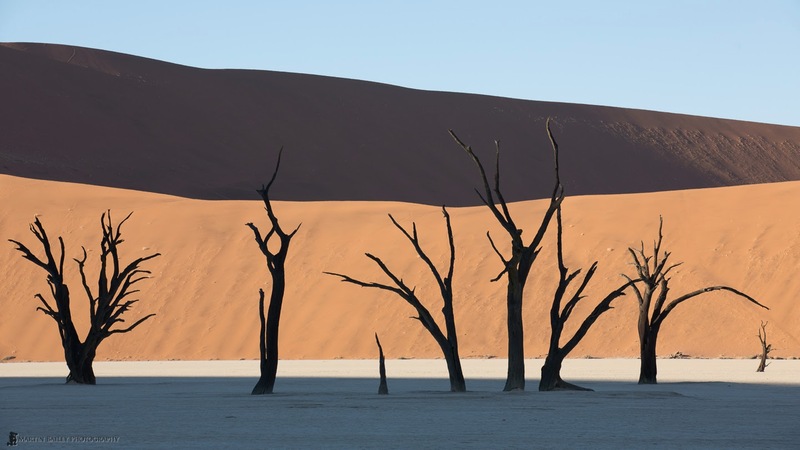 The remaining skeletons of the trees, which are believed to be about 900 years old, are now black because the extreme sun has burned them. 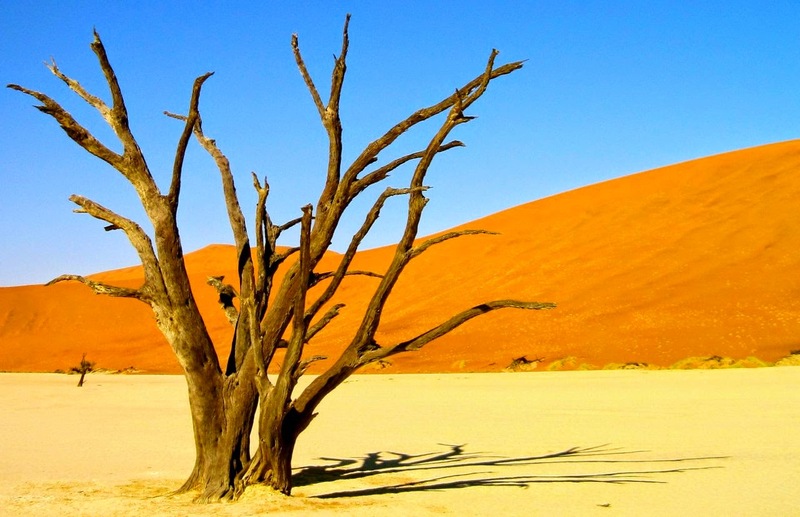 Nevertheless not petrified, the wood does not decompose because it is so dry.